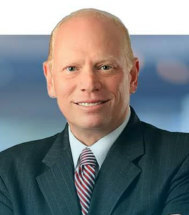 At the law office of Stuart C. Axilbund, I draw upon over 18 years of legal experience to help clients in Baltimore City, Baltimore County and surrounding areas find tailored and effective solutions to their family law problems. Opening my own firm in 1992, I focus my practice on family law and am committed to handling every case professionally, efficiently and compassionately. To discuss your situation with an experienced Maryland family lawyer, call 410-832-7579 or contact me online for a telephone consultation and find out how I can help you. When you work with my firm, take confidence in knowing that I will personally handle every aspect of your case, from beginning to end. Unlike some other firms, you will never be passed off to a junior attorney or paralegal. Whether you are going through a divorce or facing a child custody dispute, I will take the time to listen to your concerns and answer your questions. I take a hands-on approach to family law. Providing responsive, client-focused service is at the heart of my practice. I am committed to returning my clients' calls the same day and keeping them informed, providing them up-to-the-minute news as things happen. You will never be in the dark about the status of your case. Family law matters are often best resolved through mediation or negotiation. However, sometimes going to trial is the only way to achieve your legal goals and protect your best interests. Should litigation become necessary, know that I am ready to be your zealous advocate in court. I have tried hundreds of cases over the course of my career, and I have the experience and perspective needed to know when to take my clients' cases to the courtroom and when settling is in their best interest. When needed, I will work with financial, vocational, medical, psychiatric and other expert witnesses to testify on my clients' behalf. Divorce and other family law matters can be emotionally and financially difficult. I will work with you to find a cost-effective solution that best meets your needs. Call 410-832-7579 or contact me online to schedule a telephone consultation. My office, located in Towson, is open between 8:30 a.m. and 6:00 p.m., and I offer evening hours by appointment. We have free parking, and my office is conveniently located across from the Baltimore County Circuit Courthouse and a few blocks from the Baltimore County District Court. For your convenience, I accept Visa and MasterCard.